Alexander Lonquich was born in Trier in Germany. In 1977, he won First Prize at the Casagrande Contest dedicated to Schubert. Since then he has held concerts in Japan, USA and major European music centres. During his career, he has worked with conductors such as Claudio Abbado, Kurt Sanderling, Ton Koopman, Emmanuel Krivine, Heinz Holliger and Marc Minkowski. Particular in this sense is his relationship with Sandor Vègh and the Camerata Salzburg, of which he continues to be a regular guest as conductor-soloist. Over recent years, Alexander Lonquich has cooperated with artists of the calibre of Christian Tetzlaff, Joshua Bell, Heinrich Schiff, Steven Isserlis, Isabelle Faust, Jörg Widmann, Boris Pergamenschikov, Heinz Holliger and Frank Peter Zimmermann and has obtained numerous accolades from international critics such as the “Diapason d’Or” in 1992, the “Abbiati Prize” in 1993 and the “Edison Prize” in the Netherlands in 1994. 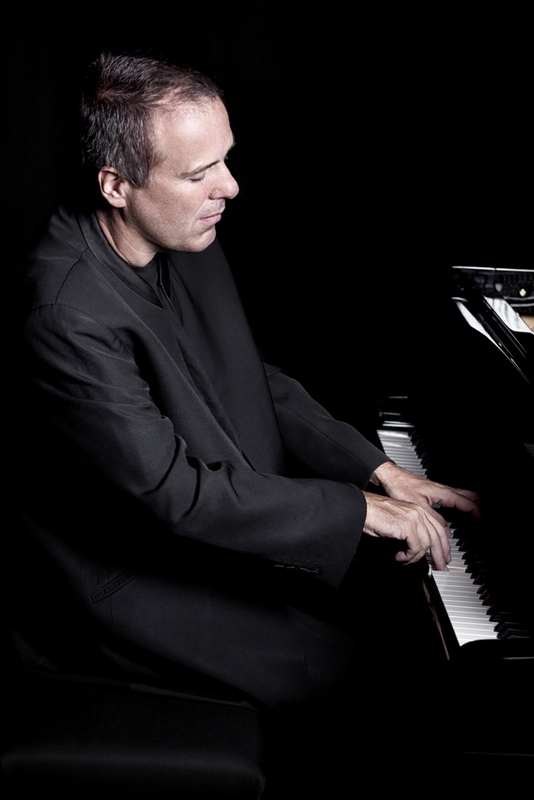 In 2003 Alexander Lonquich formed a piano duo with his wife Cristina Barbuti, with performances in Italy, Austria, Switzerland, Germany and Norway. What is more, in his concerts, he often appears in the dual guise of pianist and fortepianist with a repertoire that goes from C. Ph. E. Bach to Schumann and Chopin. As conductor-soloist, Alexander Lonquich cooperates on a stable basis with the Mantua Chamber Orchestra – with which in particular he carried out, between 2004 and 2007, research and an in-depth study into Mozart’s integral concerts for piano and orchestra- and, among others, with the Frankfurt Radio Orchestra, the Royal Philharmonic Orchestra, the Deutsche Kammerphilarmonie, the Camerata Salzburg, the Mahler Chamber Orchestra, the Orchestre des Champs-Elysées and the Philharmonic Orchestra of the Scala of Milan. He regularly performs for the Santa Cecilia National Academy, with which he has also collaborated since the 2011/12 season as conductor-soloist. In recent years, Alexander Lonquich has appeared in all the major Italian concert halls: the Carlo Felice Theatre of Genoa, the Conservatory and Theatre of the Scala in Milan, the La Fenice Theatre in Venice, the Regio Theatre of Parma, the Turin Conservatory, the Parco della Musica of Rome and many others. After recording Mozart, Schumann and Schubert for EMI, he began working with ECM, recording music by the Israeli composer, Gideon Lewensohn and producing a CD containing early-20th century French piano music with the Improptus of Fauré, Gaspard de la nuit by Ravel and Messiaen’s Préludes. Recently, always for ECM, he recorded the Kreisleriana and Holliger’s Partita. Along with his many concert engagements, over the years, Alexander Lonquich has also been very busy teaching and holding master classes in Europe, the USA and Australia. He has also collaborated on a stable basis with the Piano Academy of Imola and the Hochschule für Musik of Cologne.